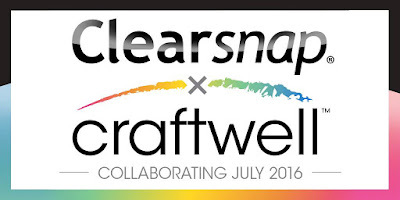 Hello and welcome to week two of the Clearsnap sponsored month. This is Yolie today sharing a layered shaker card. 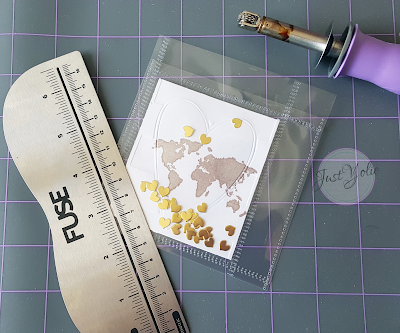 I used Teresa Collins' Platinum Silver pigment ink by Clearsnap, Clearsnap world stamp and paper from Teresa Collin's Wanderlust and Studio Gold collections. 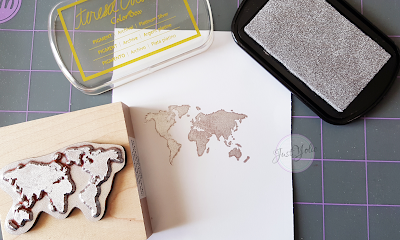 I first stamped the world image on white cardstock. 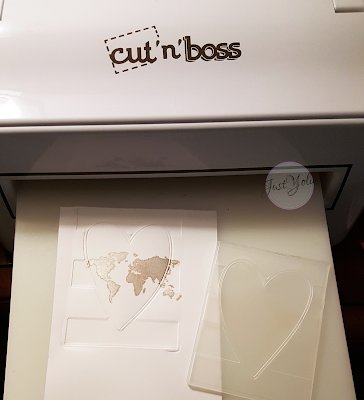 After the ink completely dried, I embossed the stamped image with a heart mini embossing folder. I then trimmed off the excess leaving only the embossed image. I then used The Fuse to create a shaker pocket. 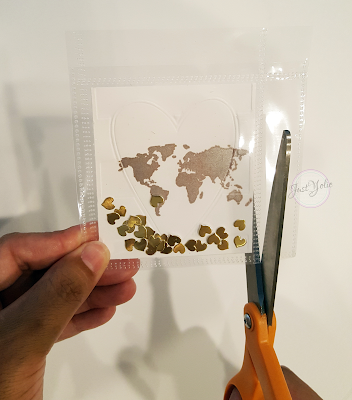 Before heat sealing the pocket, I added gold foil hearts. I carefully trimmed the sides of the pocket. I then adhered my layers onto a file folder shaped card. 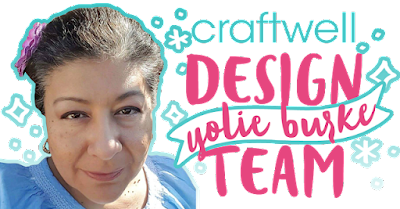 I created the sentiment using Studio Gold mini stickers, added twine and finished it off with enamel dots.